In 1996, Namco introduced us to a wonderful, groundbreaking new fighting game—Soul Edge, which debuted as an arcade game. Soul Edge arguably put weapons-based fighting games on the map, and began the highly successful Soul series after being ported to the PSX as Soul Blade. Its sequel, Soul Calibur, continued and refined the formula Soul Edge had began. Soul Calibur 5 is the 6th entry into the Soul series, not counting various spinoffs and ports. 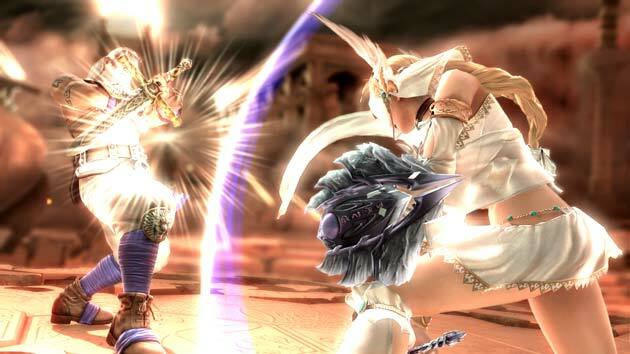 Set 17 years after the climactic ending of Soul Calibur 4, SC 5 follows the adventures of Patroklos and Pyrrha, the children of series mainstay Sophitia. The game features a sizable amount of new characters, as well as familiar faces growing into their elder years. One thing the Soul series has always done exuberantly well has been featuring realistic weapons in its weapons-based fighting gameplay. The usual fare is some sort of blade, be it a zweihander, rapier, or short sword and shield combo. The weapons belonging to some of the series’s newcomers, however, pushes the boundaries of the series’ realistic weaponry. 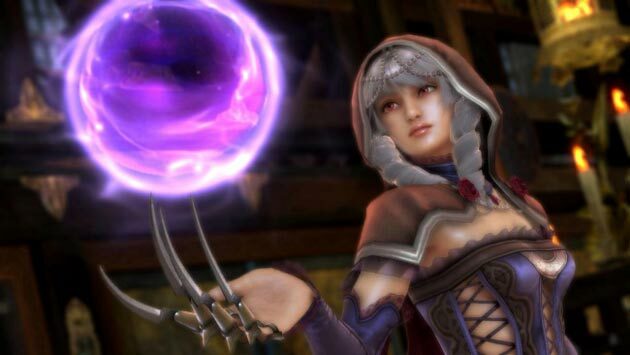 In SC5, two characters in particular completely mix things up; Viola, who wields a magical crystal ball, and Z.W.E.I., who fights using a sword and summoned werewolf. Despite the unrealistic properties of these two new characters (or perhaps because of it), their fighting styles are highly technical–hard to learn, but hard to fight against when battling someone who knows what they’re doing. True to form for the Soul series since Soul Calibur 2, SC5 features a guest character from another well known gaming franchise. This time, the cast of the Soul series meets Ezio Auditore, of Assassin’s Creed fame. 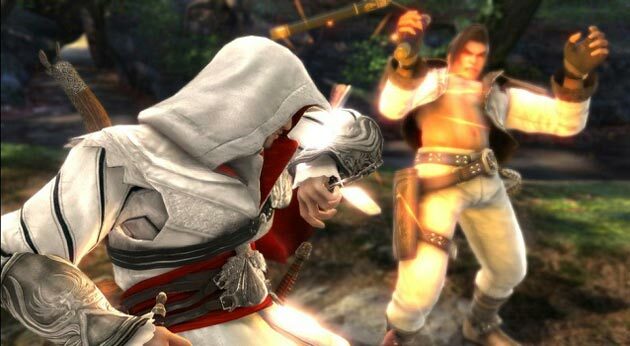 Ezio plays remarkably well, and uses a myriad of different small weapons, namely two assassin’s daggers and a gun. Graphically, SC5 shines. Its predecessor was extremely sharp, and the newest entry pushes even beyond that. Even over online play, Soul Calibur 5’s graphics are crisp, sharp, and very animated. The story mode’s cutscenes are particularly noteworthy—seeing the game’s story brought vividly to life was outstanding; more please! 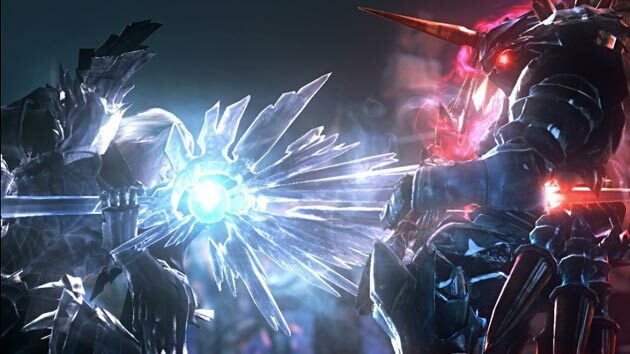 Speaking of online play, the multiplayer modes in Soul Calibur V is outstanding. You can tell that this is where the dev team allocated most of their time. There are a number of different online modes, from individual player rooms, ranked matches, and an enormous lobby ideal for casual matches. The online community is easy to access, and communication is usually pretty quick. The way the online feature is set up allows for continual matches, one after another. It’s incredibly easy to lose a couple of hours in SC5’s Global Colosseo room, thanks to how this is set up. Single player, sadly, is Soul Calibur V’s greatest area of opportunity. The Story mode is extremely short, clear-able in a matter of 4 or 5 hours. My biggest issue is how it is criminally unfinished. Key moments in the story are fully rendered in wonderful cinematic form–surprisingly decent voice acting, fantastic graphics, and fluid movement for each character model. For the rest of story mode (read: 80%), the narrative is told via voice-over and an incredibly unattractive storyboard. I felt like I was watching the story in its planning stages–before each storyboard was translated into an actual scene. For this reason, the story mode just seems incomplete. Character creation returns once again, and is the series’ best effort. But again, creation is for vanity purposes only–there is no depth to them at all. SC4 had a small amount of creation interaction, by giving them a standard storyline. SC3, however, remains the series’ crowning achievement when it comes to single player, with the regular story in addition to the Chronicles of the Sword mode, a story mode designed to feature created fighters. Soul Calibur 5, despite the unnerving lack of single player variety and quality, is a wonderful entry into the Soul series. Longtime fans of the series will adore its master crafted online multiplayer, and seeing how the series’ oldest characters mesh with new blood. This is a must-buy for any serious fan of fighters, but a pretty decent rental for everyone else.